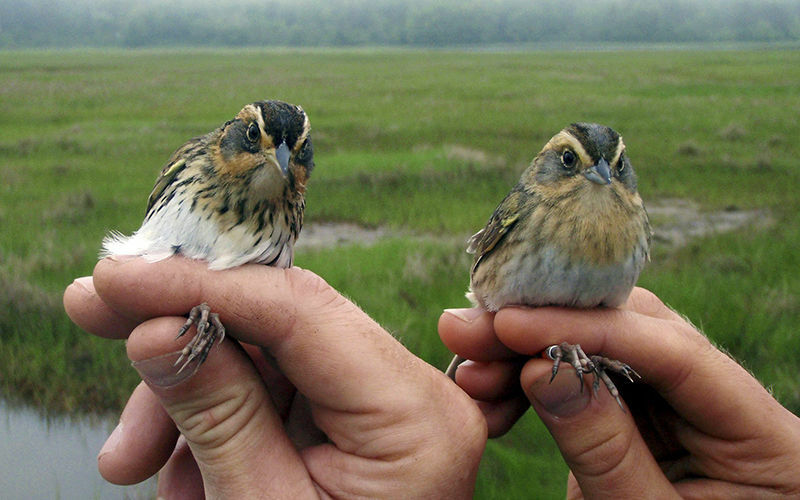 PORTLAND, Maine — The saltmarsh sparrow is disappearing from its home on the East Coast and could be headed for extinction in as little as 50 years, say scientists whose work could help protect the little birds. The other researchers are from the universities of Connecticut, New Hampshire and Delaware and the State University of New York College of Environmental Science and Forestry. Their work on the sparrow is part of a project called the Saltmarsh Habitat &amp; Avian Research Program.